Nirenstein, Horowitz & Associates provides elder law and estate planning help to clients throughout Woodstock, Connecticut. Getting help planning ahead for end-of-life issues and making plans for your legacy is vital. You want to protect assets, protect your family and control what you have to show for your lifetime of work. Our firm can help you to use the appropriate legal tools to protect yourself and your loved ones. Many clients throughout the Woodstock, CT area have placed their trust in us and we’ve earned that trust by offering skillful, compassionate elder law services. 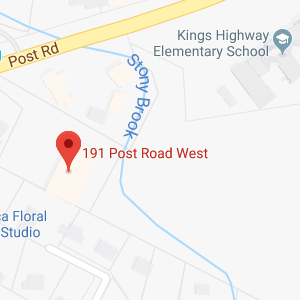 Give us a call today to find out more about the ways in which our local attorneys can help you with your plans for your future if you live in the Woodstock, CT area. Woodstock, Connecticut is a small town that is located within Windham County, Connecticut. As of the time of the most recent census, Woodstock, CT had a population of just under 8,000 people. Woodstock, CT dates back to the mid 17th century when the area was originally created as a “Praying town” called Wabaquasset. Praying towns were established by a Puritan missionary named John Eliot, who was trying to spread Christianity to Native Americans. The land where Woodstock is located was purchased by Massachusetts back in 1682, as part of a purchase involving many tracts of land. The town was re-named in 1686 and became New Roxbury. However, in 1686 Judge Samuel Sewall suggested that the town change its name to Woodstock. The town did change its name eventually of course, and it eventually moved in to become a part of Connecticut. This occurred in 1749. Today, Woodstock has had its name and has been a part of Connecticut for a long time. If you are getting older, you may need to take advantage of community and governmental programs that provide support to seniors. Within the town of Woodstock, CT, there is an Agent for the Elderly who provides assistance. According to the Town of Woodstock, the Agent for the Elderly is currently Connie Maynard. The Agent for the Elderly can be reached at 860-928-0208 at extension 304. The fax number to reach the Agent for the Elderly is 860-963-7557. The hours for the office of the Agent for the Elderly are currently limited to Wednesday between 9:30 AM and 3:00 PM. The Municipal Agent helps elderly people and their families and provides support to seniors. The Agent’s job is to act on behalf of elderly Woodstock residents, and to contact representatives about legislation that could impact the rights of seniors in the Woodstock area. The Agent for the Elderly also posts information on the senior bulletin board which is located in the Woodstock Town Hall on the lower level. Some of the different services which the Agent for the Elderly can help to provide to seniors, or services that the Agent can helps seniors to gain access to include Dial a Ride, activities for seniors, speakers, trips, blood pressure clinics, free flu shots, discussions on regulations, and referrals for assistance. While this Agent is helpful, it is generally beneficial for many seniors seeking to take advantage of benefits to talk with an attorney who can offer advice on a full array of programs and services that they might be eligible for. Elder law attorneys can assist older Woodstock residents in finding out what state and federal benefits could help enhance quality of life as well as assisting with taking advantage of veterans’ benefits (if applicable) and community benefits. In the state of Connecticut, probate courts are broken down by region. Woodstock, CT is located within the Northeast area. The Connecticut Probate Directory lists the different areas in Connecticut which are within the Northeast area. Along with Woodstock, other locales within this particular region include Ashford, Brooklyn, Eastford, Pomfret, Putnam, and Thompson. The Northeast area is part of Region 3, along with the Tolland-Mansfield area; the Plainfield-Killingly Regional area, and the Windham-Colchester area. If you have questions that you wish to ask the probate court administrator you can reach the administrator via phone at 860-231-2442 during the normal court hours of operation, which are 8 AM to 5 PM on Monday through Friday, except on federal and state holidays when the court is closed. This phone number will connect you with the Office of the Probate Court Administrator, which is an office located in West Hartford. It is important that you address any legal matters that necessitate court action by filing the necessary paperwork with the correct probate court. Determining which probate court has authority over your particular issues is just one of the many things that an attorney can do for you. Nirenstein, Horowitz & Associates can help families in Woodstock to try to stay out of probate court by avoiding guardianship or conservatorship proceedings through the creation of a comprehensive incapacity plan. We can also provide assistance trying to avoid the transfer of assets through the probate process by creating an estate plan that allows assets to transfer through other means. These planning steps must be taken before incapacity or before someone actually passes away if they are to be effective. Otherwise, going to probate court may be necessary. 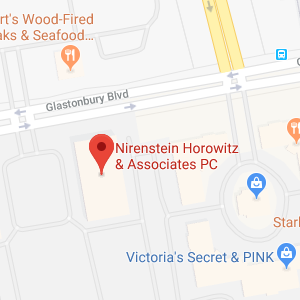 Nirenstein, Horowitz & Associates has a long track record of helping clients in Woodstock, CT with the estate planning and elder law issues that matter. Whether you need assistance making a will, want to ensure minor children are cared for if something happens, are hoping to protect your legacy or need help keeping your assets secure, our legal team is here to provide the help and support you need. We know the local probate court system and the Connecticut laws that allow you to make your plans and we can help you to ensure that you’ve taken the steps necessary to keep your family and assets safe. Give us a call at 860-548-1000 today to find out more.